The roof is an essential part of your home that sometimes tends to be forgotten about. Out of sight out of mind right? Unfortunately, you can’t just put a roof on and forget all about it. Regular maintenance and inspections are necessary to make sure your roof is in good shape to ensure longevity. It doesn’t have to be too often, maintenance once or twice a year can make a big difference. You can catch and fix problems before they become an emergency. A healthy roof can save you a lot of money in the long run. First thing is to always know what type of roof you have. Knowing the roofing material gives your foresight into what problems might ensue. 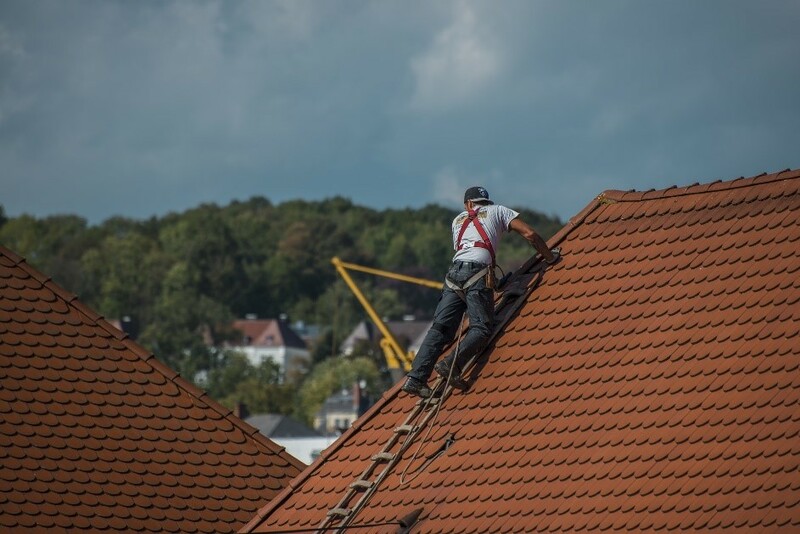 Different materials have their benefits and disadvantages, you can read more about what the best roofing material for your home is here. Some roofing materials work better in warmer climates and others in colder climates. Single ply roofs run the risk of open seams. Metal roofs expand and contract and also rust over time. Either hire a professional or safely inspect your roof yourself. Don’t just inspect for problems that already exist. Be sure to look for things that might become a problem moving forward. Check for tree debris, insecure drains, wobbly joints, missing shingles, algae, etc. If you just purchased the house or are planning on purchasing, you want to check to make sure past problems haven’t gone unchecked. Avoid temporary fixes. Don’t inspect just the outside of the roof. Sometimes the damage culprit may be on the inside. Check indoors for bug infestations or water damage that might compromise the integrity of your roof. Broken tree branches, leaves, and animals can all damage your roof. It doesn’t hurt to clear debris off your roof once in a while. Something as normal as snow in the Northeast can cause your roof to collapse. When removing debris and snow make sure to do it carefully so you don’t cause damage to your roof. A snow rake can be used to clear snow off the roof. It never hurts to hire a professional to do it, so you know it’s done properly. Roof maintenance is very important and should never go overlooked. Make your roof last longer and save money in the long run. Are there any other things you do to keep your roof healthy? Let us know in the comments. Always give maintenance to your roof at least once a year depending on the weather, even if it’s just a simple sealing treatment. Roof damage of any kind should be quickly addressed, preferably by a qualified professional roofing service. Roof maintenance ensures that your home remains strong and is capable of withstanding harsh weather conditions over the rest of the year. Thank you for sharing this helpful blog. Making sure your roofing stays intact is one of the biggest interests that you have. Regular roofing maintenance is vital to ensure that your roofing system is in perfect condition. Kudos to you for sharing this insightful post. Great tips. It is very informative post. You shared awesome benefits of roof maintenance. Thanks for sharing this information with us. Thanks for all the great tips. All these tips are gonna be really helpful for me and many people out there. We should consider these tips for the betterment of the roof. Very informative and useful post about Roof maintenance. You have done a great job. Thanks for the sharing such a nice post.